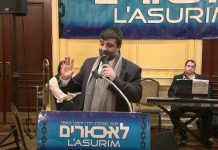 Following the highly successful Addictions Awareness event in Brooklyn, which saw hundreds in attendance, OHEL and Amudim are again providing an awareness event in the Catskills this Shabbos 14th July and motezi Shabbos. With the escalation of addictions in the community, OHEL and Amudim are inviting parents and the wider community to learn how to detect the early warning signs, minimize the risk of addiction, and protect their children. 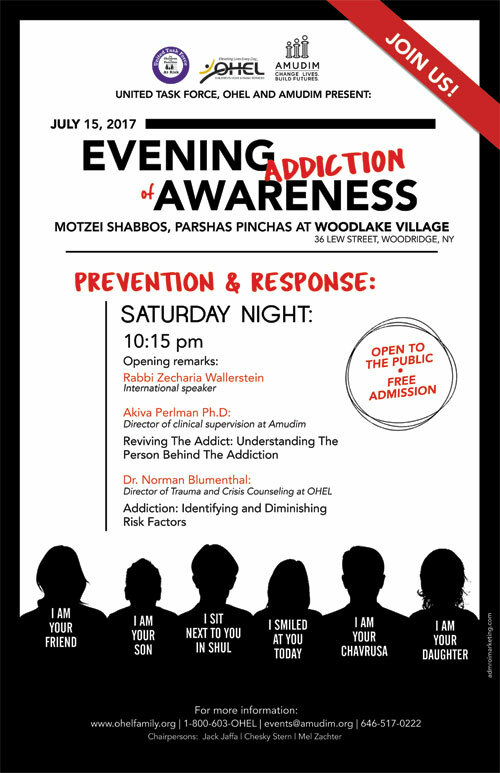 This highly informative Weekend of Addiction Awareness: Prevention and Response,Shabbos Parshas Pinchas, is being presented at Woodlake Village in Woodridge, NY. The weekend include talks Friday night, Shabbos day and a Saturday night lecture series by highly professional and compelling speakers, each an expert in their respective addictions-related field. The event’s message is that treatment and recovery is possible. Addiction cannot be ignored, and the path to recovery cannot be navigated alone. 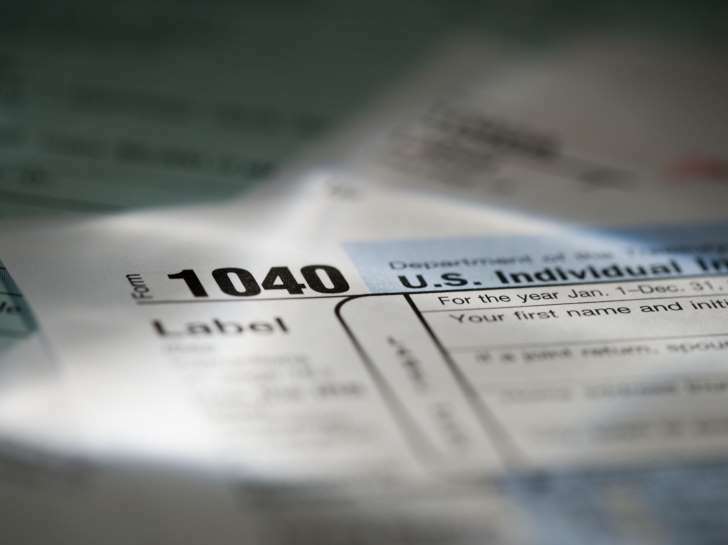 Help is available for victims and their families. The Motsei shabbos informative event is open to the public, and is free of charge.